There are more than 30,000 species of wasps so the right answer to the question is how wasps reproduce is – it depends. There are two main categories of wasps in Canada, social wasps and solitary wasps. Exactly how they reproduce largely depends on where they fall in these two groups. Different species of social wasps, for example, display similar behaviour including in reproduction, and the same goes for solitary wasps. Social wasps are wasps that live together in a nest and these tend to mate once a year. The queen hibernates during the winter when the rest of the nest dies off from starvation. Once spring rolls around, the queen creates a nest with cells where she lays eggs. The queen feeds the larvae and once they hatch and 10 days later these develop into adult workers. The workers take over the work of caring for the eggs and larvae leaving the queen to continue laying eggs. The colony continues to propagate in this way, eventually producing male wasps from unfertilized eggs and fertile females from fertilized eggs. Males and females from the same colony do not mate with each other but rather leave the nest to meet with other wasps from other nests in what is known as a mating swarm. Unlike social wasps that have infertile female workers, all female solitary wasps are fertile. The queen comes from hibernation to build a nest with individual cells. The female stings insects such as spiders with paralytic venom and stashes the paralyzed spider inside the nest. The female then proceeds to lay eggs on or in the paralyzed spider before sealing the nest and flying off. The larvae will feed on the paralyzed insect while it develops. The adult wasp finally makes its way out of the nest once it comes of age and cares for itself. Although most solitary wasps abandon their nests after laying eggs, some species stay to protect it. Solitary wasps tend to be more docile than their social counterparts and rarely sting. The lifespan of a wasp depends on its position in the nest. Many male drones die shortly after mating. Female workers typically live for about a year. Queens hibernate during the winter and are able to live for a few years. Otherwise, most wasps live from spring to late fall or early winter. By winter the wasps have died save for the queen who hibernates. Social wasps tend to live longer than their solitary counterparts. Since social workers are dedicated to caring for eggs and larvae, it makes sense that these have a higher survival rate. Social workers also actively defend the nest with their stingers reducing the chances of the nest being destroyed. Many species of birds and lizards enjoy feeding on wasp larvae and will destroy a nest to get to the delicacy given the chance. Finally, most people assume that wasps die in the winter because of the cold. The truth; it is more from lack of food than from the cold weather. Wasps at this time feed on nectar and pollen which becomes scarce and eventually unavailable when winter rolls around. You should not remove a wasp nest on your own if you are allergic to stings or do not know for sure that you are not allergic. Wear full-body protective gear and get your information from an expert before attempting to remove the wasp nest. 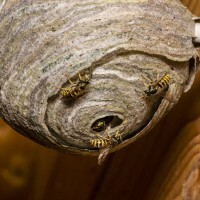 Otherwise, hire a professional wasp nest removal service in Toronto to take care of the problem. 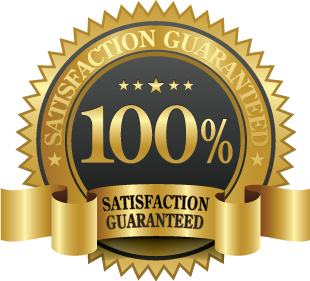 The expert can guarantee that the job is done safely and may offer suggestions or perform additional maintenance to prevent the problem from recurring in future. It is worth inquiring about a warranty for the service.